Be minutes away from everything in downtown Akron when you call University Edge your home! 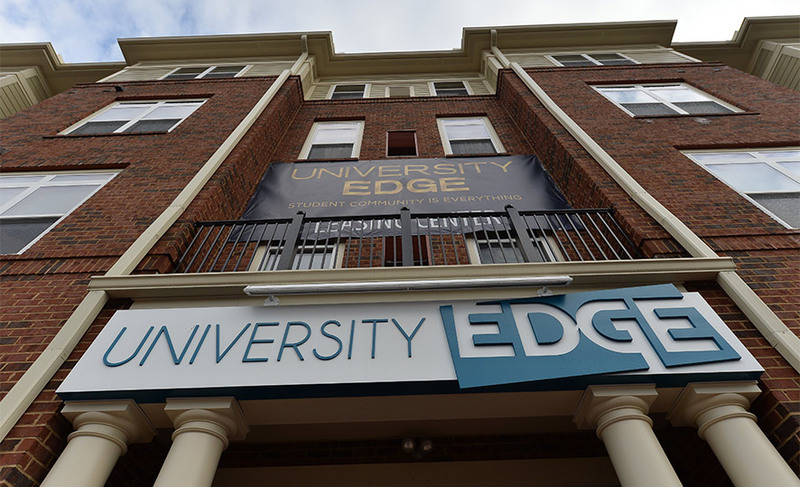 Our University Edge Student Apartments are conveniently located on the corner of Exchange St and Sumner St, and is the perfect place to call home while attending classes at Akron University. This convenient location makes you just a couple minutes walk from campus and wherever you might want to go in downtown Akron. At University Edge, you’ll be minutes away from college students’ favorite fast food restaurants like McDonald’s, Chipotle, Penn Station East Coast Subs, Arby’s and more! And let’s not forget these apartments are near the University of Akron. You’ll enjoy the freedom of living off campus, but still being within walking distance of all the action in downtown or on campus. When you live at Univeristy Edge you’ll be able to walk to all your attractions, classes, and more! Don’t forget that you have access to the best deals, promotions, and free stuff at these local businesses and more thanks to the Edgevantage! Living at University Edge has you living within walking distance of all the action of downtown Akron. Spend next semester in our apartments near the University of Akron! Contact our team to learn more about our off campus student apartments and schedule a tour.